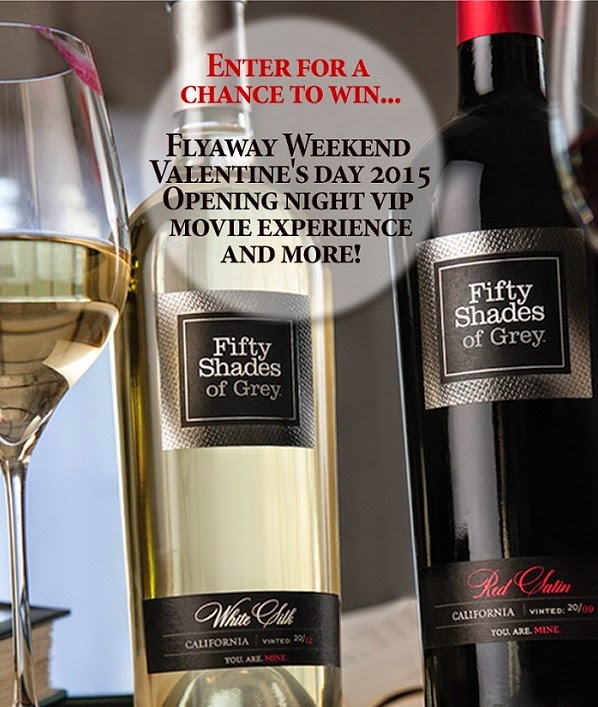 Enter The Fifty Shades Wine Valetine's Day Sweepstakes to Win A Trip To Seattle And More! "Enter to win a trip for two to Seattle, including a two-night stay at the luxury boutique Andra Hotel, which will be stocked with Fifty Shades of Grey premium merchandise, as well as airfare courtesy of CheapOair. As an added incentive, contestants will triple their chances to win when taking an in-store selfie with the seductive Fifty Shades of Grey Wine bottles, and posting their photos to www.facebook.com/fiftyshadeswine along with the hashtag #FiftyShadesWine. The winner will also attend the opening night showing of Fifty Shades of Grey in style at Seattle's Big Picture Movie Theatre, voted one of the Top 20 Movie Theaters in the World by Men's Journal. In addition to airfare, luxury suite accommodations, and an opening night VIP movie going experience, winners will take part in a private party at a secret-location from the Fifty Shades of Grey stories – fully indulging in the high-life of Christian Grey." Ten fans will also have a chance to win weekly prizes in addition to bonus entries that will be announced during the course of the contest. "Throughout the duration of the sweepstakes, fans will have additional opportunities to win weekly giveaways of Fifty Shades of Grey-themed prizes, as well as E L James-autographed copies of the book, Fifty Shades of Grey, which will go to ten runner-ups."